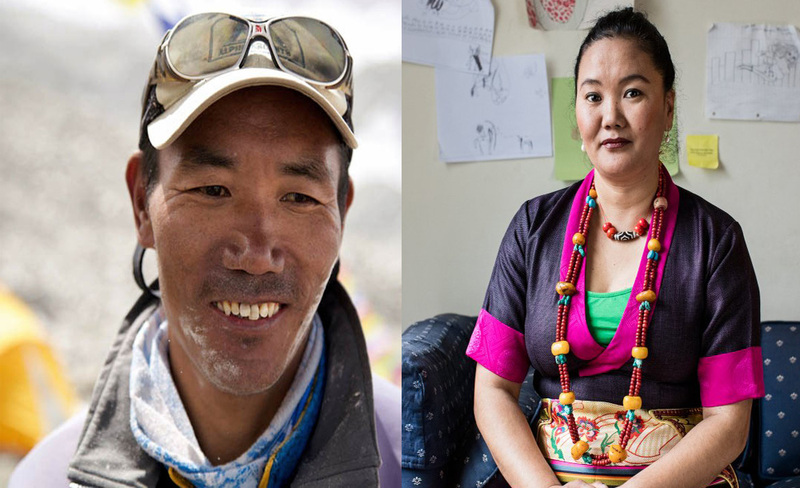 KATHMANDU, May 16: Two Nepali Sherpas broke their own world records for the most Everest summits by a man and a woman on Wednesday (May 16), reaching the world's highest peak for a 22nd and ninth time respectively. Kami Rita Sherpa, a professional guide, and Lhakpa Sherpa, who works in a supermarket in Connecticut, reached the summit from opposite sides of the 8,848m (29,030 feet) mountain. Kami Rita, 48, was one of six sherpas who took seven clients to the summit from the Nepali side, Mingma Sherpa of Seven Summit Treks, who organised the expedition, told AFP. A guide for more than two decades, he broke the previous record of 21 summits that he shared with two other Sherpas. Kami Rita first reached the top of Everest in 1994 when working for a commercial expedition. "I did not start climbing to set a world record," he told AFP last month before setting out for the mountain. "It wasn't for any competition." Lhakpa Sherpa, 44, reached the peak for a ninth time via the northern, Tibetan route, her brother Mingma Gelu Sherpa said. The US-based Lhakpa has repeatedly broken her own record for the most Everest summits by a woman. The next most accomplished female Everest climber is American Melissa Sue Arnot, who has reached the top six times. The daughter of a yak herder, Lhakpa worked as a porter and kitchen hand on trekking and mountaineering expeditions, before becoming a climber herself. She moved to the United States 16 years ago and says she plans to continue climbing, while keeping her job in the supermarket. "I keep going to encourage other Nepali women to climb," the 44-year-old told AFP last month. The twin records come on the heels of Australian Steve Plain becoming the fastest person to summit the highest mountains on all seven continents. He completed the seven climbs in 177 days - nine days quicker than the previous record - after reaching the top of Everest on Monday. Hundreds of climbers are on Everest attempting to reach the summit during the narrow window of good weather in May. But the mountain is also highlighting its risks. A Sherpa guide has been missing on Everest's southern side in Nepal since Monday, said Mingma of Seven Summits. "They are searching for him on the way down," he said of the team that has just summited. On the Tibet side a team was forced to retreat from just below the summit when at least 11 of their bottled oxygen systems failed. "Multiple teams using the same device have experienced similar oxygen system failures. There are no reported injuries," Alpenglow Expeditions said in a statement. Climbers use supplementary oxygen to combat altitude sickness. Air at the top of Everest contains less than a third of the oxygen at sea level.